Ghandhara Nissan Ltd (GNL) has announced the production of three Nissan models in the second half of 2020 in Pakistan. Last year in March, Nissan officially announced its re-entry in Pakistan. 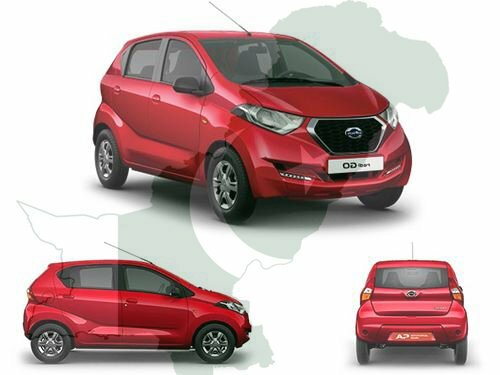 The manufacturing and licensing agreement were signed between Nissan and Gandhara, and under that agreement, the Pakistani auto market will see the local production of Datsun models in the country. In the starting phase, GNL will manufacture 15,000 units a year, increasing the number to 35,000 in the next five years. The automaker also intends to invest Rs 6.5 billion in the first four years. The joint venture will also create around 1800 jobs in its plant in Port Qasim, Karachi which will later be transformed into a world-class manufacturing facility. Last week, Gandhara and Nissan held the first major event for parts suppliers since announcing joint production last year. The event was attended by more than 35 local parts supplier companies. Nissan and GNL revealed their plans on support for the local component sectors including the introduction of world-class facilities, latest production processes, ongoing skills sharing and training. CEO GNL Ahmad Kuli Khan Khattak said the company is dedicated to offering the strongest support to the component industry. He said Nissan’s entry in Pakistan would provide customers with a fresh and desirable line-up designed and built with modern technology and Japanese engineering. Nissan’s Regional Vice President for Africa, Middle East, and India region, Masahiko Sakamoto said GNL and Nissan are actively working to enhance and support the local automotive sector in its ongoing development. Earlier in 2018, the Ministry of Industries and Production (MoIP), had awarded Brownfield investment status to GNL under the Auto Development Policy 2016-21 for the revival of an existing facility. The joint venture between GNL and Nissan Motors would provide a significant boost to the local automotive industry which already accounts for about 4pc of Pakistan’s gross domestic product.